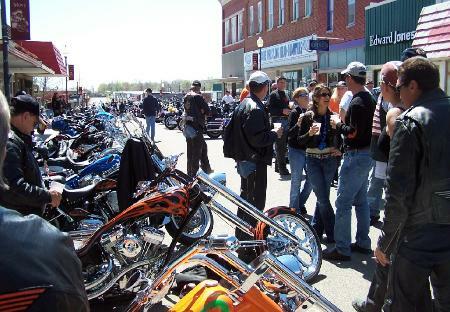 On the afternoon of Sunday, April 9, around 400 bikers converged on downtown Eldon, MO in front of Buzzer McGees for the annual Noble Eagle poker run benefiting scholarships for local students. 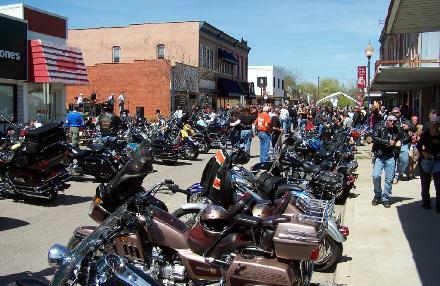 Great entertainment was on stage, beads and goodies were given out on the street, brats and refreshments were sold out front at the tent, and the biking season unofficially kicked off. A good get-together like this becomes a bike show, and great wheels were everywhere. 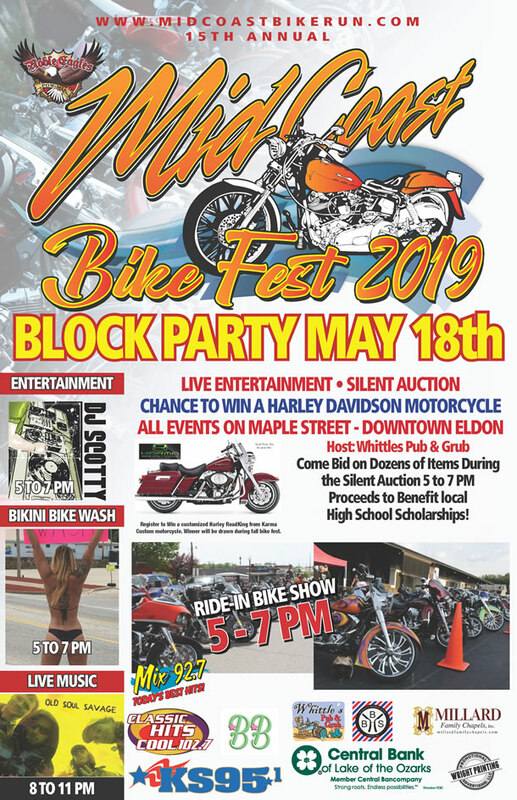 The Lake area riders can always be counted on to come out for great rides and support good deeds by local organizations like the Noble Eagles. I ran into buddies I hadn’t seen in a while, and it’s good to know they are still the same. I also met some new people and saw a number of fine-looking women walking around and soaking up the rays. Good job again Noble Eagles.